This Grand Victorian hotel is about 250 yards from the Buxton Train Station, and well-located for exploring all the beauty of the peak district. 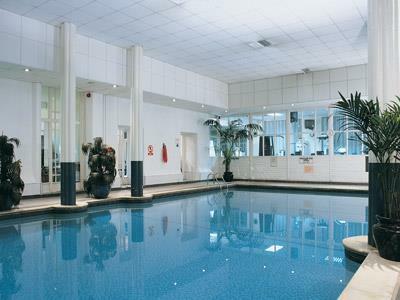 Since 1868, The Palace Hotel has been a prominent building in the stunning spa town of Buxton. Situated in over 5 acres of stunning landscaped gardens, it has now become one of the most prestigious conference venues in the region, perfectly situated on the edge of the Peak District National Park, and easily accessible for visitors from all over the UK including Manchester, Nottingham, Sheffield and Stoke-on-Trent. When you step over the threshold, you’ll quickly discover the history of the building itself. Suddenly you are transported back in time, some 150 years ago. You’ll see historic characteristics as you explore. The gorgeous Victorian grandeur is sure to provide the most elegant backdrop to your event. Finding the unique venue for your business conference can often feel like a struggle. 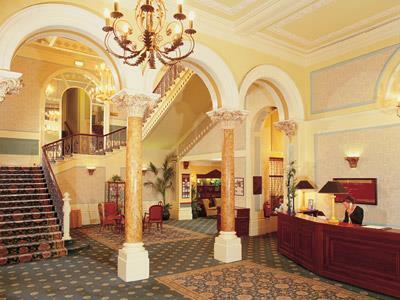 However, once you land your eyes on the Palace Hotel, Buxton you won’t need to search any longer. We provide a wonderful experience for all our guests! By holding your event at our venue we guarantee a beautiful setting in 5 acres of stunning landscaped gardens combined with excellent service.